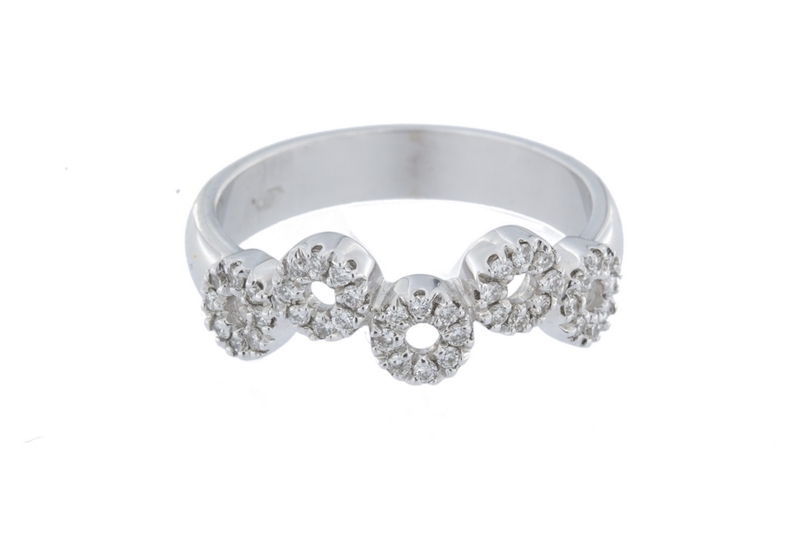 Ring 18K white gold, with 40 diamonds size bright COLOR H, purity if measured finger No. 15 TATUM can be to any accompanying measure in 4-5 DIAS.SE certificate by JEWELLER No. 249 of the JORGC and GEMMOLOGIST specialist diamond. Ring has a total of 40 diamonds brilliant cut H if of weight of 1 point each. The ring has a total weight of 0.40 ct brilliant. It has a thick and very interesting body of 4.70 total grams.